New Ronin-MX firmware updates are now available: IMU v2.0, GCU v1.2 and ESC v1.4.9.17. Use Ronin-MX Assistant V2.4 to update. 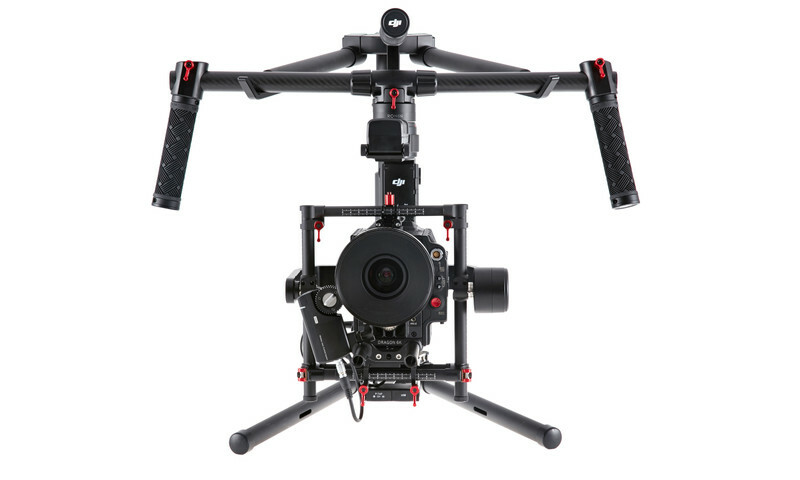 Fixed abnormal behavior when mounting the gimbal in upright-mode with pan axis push mode enabled. Fixed issue where Auto Sleep is activated in one mode of operation but wakeup is in a different mode. Added gimbal endpoint protection. The angle between the gimbal and the aircraft nose will be set as the maximum selectable endpoint value to avoid cable obstruction when connecting Lightbridge 2 to the gimbal. Added DJI A3 and Futaba remote controller support. Program a 3 position switch on channel 7 on a Futaba remote controller to switch the gimbal between Free, Follow and FPV modes. Ronin-MX landing gear protection will need to be disabled otherwise the pan axis will be limited to ±30 degrees. Toggle channel 6 switch on the Futaba remote controller to the lowest point, or toggle the FUNCTION switch on the Ronin-MX remote controller to the upper position to disable landing gear protection. Added ESC firmware upgrade support. Improved the modulation ratio to increase motor torque output. Added support for Remote Start/Stop firmware updates. Added support for the DJI Focus Expansion Module. Fixed an incorrect battery temperature display issue in the DJI Ronin-MX Assistant. If you are upgrading the Ronin-MX on the Matrice 600, power off the Matrice 600 or disconnect the CAN cable first to prevent upgrade failure. Click the Default button in DJI Ronin-MX Assistant to enable gimbal endpoint protection. Endpoint values for the pan axis will be set to -179° and 179°.